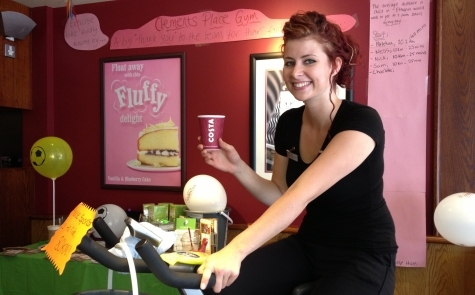 All day today, the staff at Costa Coffee on Leigh Broadway are cycling for charity, and they need your support. 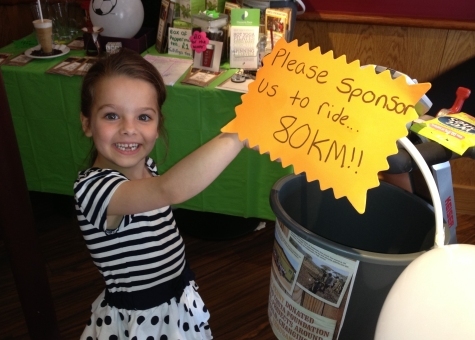 They’re aiming to cycle 80km today, which is the average distance a child in Ethiopia would walk to and from school each day. 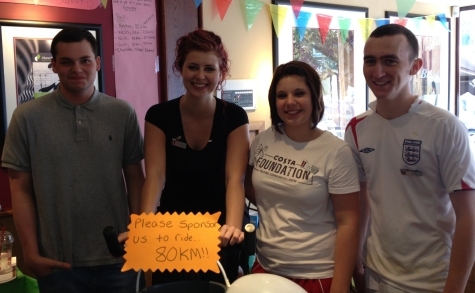 The charity “Sports Day” is to help raise money for Costa’s own charity, the Costa Foundation. 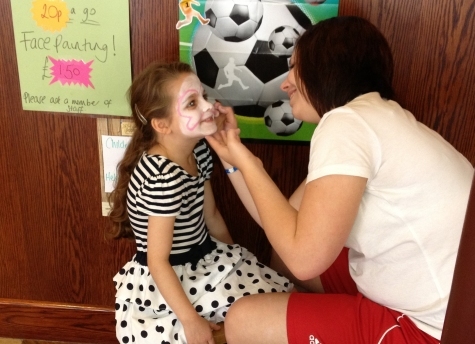 As well as the in-store cycling, there’s kids facepainting, “stick the footballer on the pitch”, kids colouring, and a table of goodies to buy – all for charity. Staff are also dressed in sportswear as part of the Sporty Saturday – surprisingly, none of the team are here in Andy Murray kit… Missed a trick there chaps! Please come along to Costa on Leigh Broadway all day today and show your support for the Costa Foundation and the hard-working baristas! They also make a mean Cappuccino! If you’re coming along – tell them Sarfend sent you for a free bonus smile! Costa Leigh would like to thank Clements Place Gym for the loan of the cycle machine, which the staff are in danger of wearing out as I type!